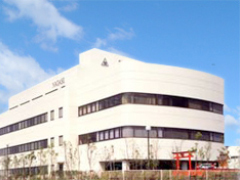 Nagase R&D Center | Business Introduction | NAGASE & CO., LTD. Currently our society is facing numerous issues such as population growth, depletion of natural resources, climate abnormality and environment damage etc. In order to cope with these issues, We, at NAGASE R&D CENTER, are initiating research projects based on macro perspectives such as making contributions to people’s health, safety of the society, peace of mind and reducing environmental impact. In order to meet customer’s needs, we dedicate ourselves to the creation of process innovation with biotechnology. 【Unavailable Made Available】is our goal. Open innovation is one of our important strategies for efficiency and speed. Here through this website, by introducing specifically our projects and research activities we hope to attract interests from various shareholders and start building a win-win partnership with academia, customers and suppliers in order to create added values together. Should you have any inquires, questions or requests, please feel free to contact us. We are trying to achieve breakthrough for manufacturing biochemical compounds by using our innovative biotechnologies. Notably, we have a number of outstanding technologies for handling of Streptomyces species as host organism. 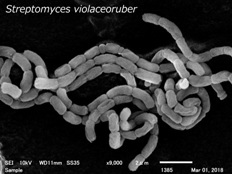 Streptomyces strains as host cells for producing chemicals and ingredients. NAGASE & CO. developed a technology that uses high-availability transfer RNA (tRNA) to improve production yields in microbial fermentation. NAGASE & CO. uses fermentation techniques to produce the natural antioxidant ergothioneine (Figure 1). A safe and stable compound, ergothioneine is transported to the brain and throughout the body. Proprietary technology using Streptomyces (N-STePP™) made it possible to produce shinorine - a natural anti-photoageing ingredient, with high efficiency. Process patent 1 granted in Japan. NAGASE & CO. developed a technology to mass-produce ferritin with proprietary recombinant DNA techniques. Copyright ©2019 NAGASE & CO., LTD. All rights reserved.